I have been a certified trainer on the SASSI for over 27 years and am one of the primary trainers in the State of Texas. I provide regular trainings that are open to the public every 3-4 months in the Dallas/Ft Worth area, Austin/Round Rock, and Houston, Texas. I am also now the SASSI trainer for the state of Arizona. I also can provide a private training onsite at your facility just for your staff. Contact me for an individualized quote for your agency. The training is all day from 8:30 am to 4:30 pm (Arizona will typically be 8am - 4pm) and is divided into two parts: Administration & Scoring (the basics) in the morning, and Clinical Interpretation of the Sub-Scales in the afternoon. Seven hours (7) of CEUs are provided through the Texas Certification Board of Addiction Professionals (SASSI Institute's TCBAP Provider #0623-91). In Arizona, CEUs are provided through NAADAC. The ASI is a standardized, face-to-face, one-on-one psychosocial assessment interview instrument that covers the domains of Medical, Employment/Education, Legal, Family/Social, Substance Abuse, and Psychological issues. The instrument is in the public domain and is one of the most well-known and popular assessment instruments in the country in the field of substance abuse. This training is typically a half-day to full-day training covering the proper use of the instrument. I have been using the ASI for over 24 years. Other workshops on various topics can be scheduled such as Substance Abuse 101, Motivational Interviewing Basics, Stages of Change Basics, Case Management, Treatment Planning, Fetal Alcohol Spectrum Disorder and Substance Abuse Issues in Women. CMBHS is a web-based client data management program that is required of all substance abuse treatment programs in the state of Texas that are funded by the Texas Department of State Health Services. This training covers the clinical functions of the program such as client profile, screening, assessment, treatment plan and progress notes. This training is typically a one day training. I have been using CMBHS since its inception and was part of the beta testing and other development functions. I was the primary trainer on CMBHS for all new Mental Health Mental Retardation of Tarrant County - Addiction Services Division (MHMRTC-AdS) employees for several years and have been the Security Administrator and troubleshooter on CMBHS for both MHMRTC-AdS in Ft. Worth, Texas and Nexus Recovery Center in Dallas, Texas. This one day training will cover the basics of how to write winning federal grant applications. I have been writing federal, state and local grant applications for over 15 years and have won over $25 million dollars in federal, state and local grants in the past 15 years. I have also been a federal grant reviewer for federal agencies such as Substance Abuse Mental Health Services Administration (SAMHSA), Health Resources Services Administration (HRSA), Department of Education (DOE) and the Department of Justice (DOJ) for the past 14 years. I also have been contracted in the past by consulting organizations such as Mayatech, Inc on behalf of SAMHSA. to help teach federal grant writing basics. This is a training developed by the NIDA-SAMHSA Blending Initiative to educate addiction professionals about buprenorphine and its use in the treatment of opioid addiction. It was designed to provide a broad overview of the medication, its effects, and the roles of addiction professionals in providing and supporting the treatment of individuals receiving this medication. 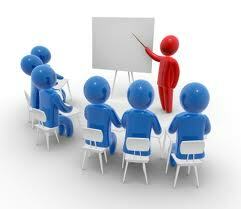 This is a one day training designed for up to 25 persons. I have been certified as a trainer and am listed in the national registry of trainers. This is NOT a training for doctors to become certified on the use of buprenorphine.